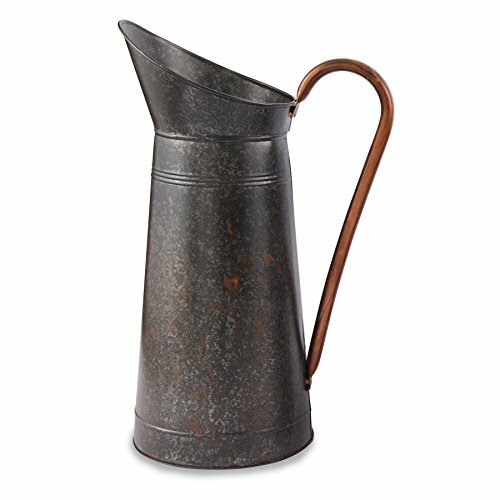 Galvanized tin pitcher from Mud Pie features generous sized handle with copper finish detail. 18 inch tall. Abigails Ceramic Charlot Pitcher with Scroll Handle, White, 10.25" x 10.25" x 6.25"